So. 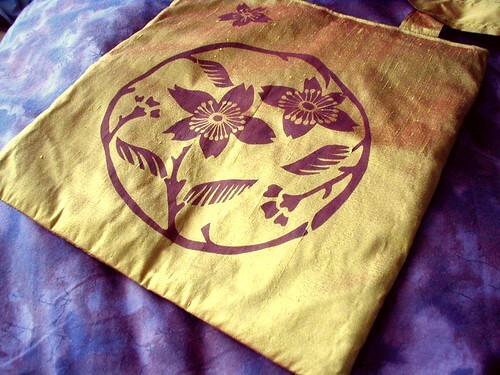 The important stuff – what did I get from the Frolic? 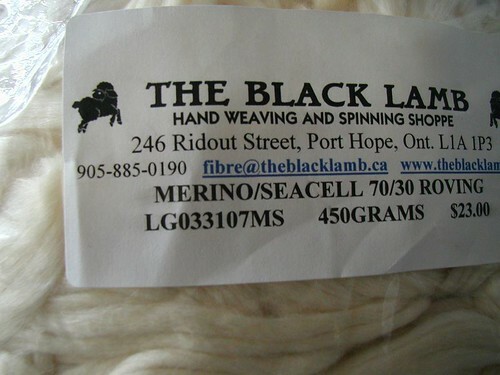 Let’s start with the non-yarn..
From the Black Lamb, a bag of merino/seacell pindrafted roving and a bunch of batts (I love those batts). 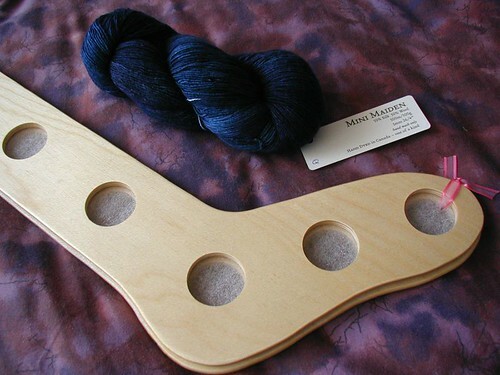 From Pick Up Sticks, a pair of sock blockers (size medium) and a skein of deepest blue Mini Maiden – 50% wool, 50% silk, 500 m. Maybe a shawl, maybe a top. 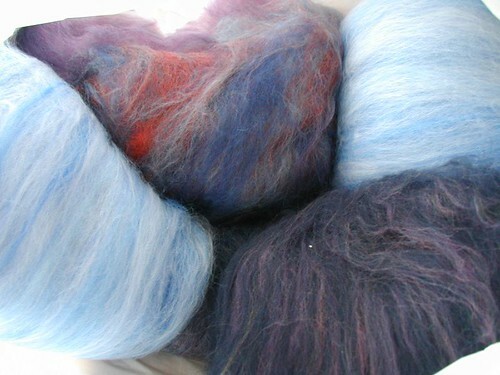 From Village Yarns, a skein of Blue Heron Rayon Metallic. 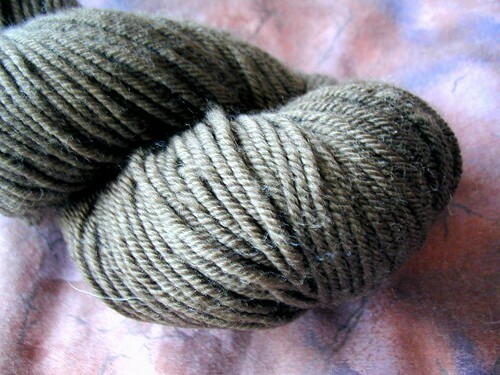 It’s 550 yards/8 oz, and I’ve already got a smashing idea (and not-so-smashing sketch) for it! 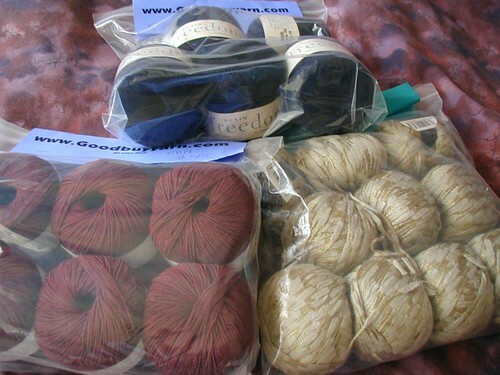 From Shelridge Farm, a couple skeins of W4 in a chocolate brown, for the treeline stripe cardi from purl bee..
And last but not least, the haul from GoodBuyYarn (they had great stuff this year! ): Twilleys Denim Freedom for a skirt, the red is GGH Safari for a tank (I’m thinking the Roundabout one from Knitting Nature). The bling yarn is called Tai, for the hairpin lace skirt. Shouts to Mrs. Peeps for helping with choosing that one. Whew. Imagine what kind of damage I could’ve done had I the entire day to shop! Have I mentioned lately that I love yarn? Before I can play, though, those pesky exams. Anyone want to go drinking on Friday night? 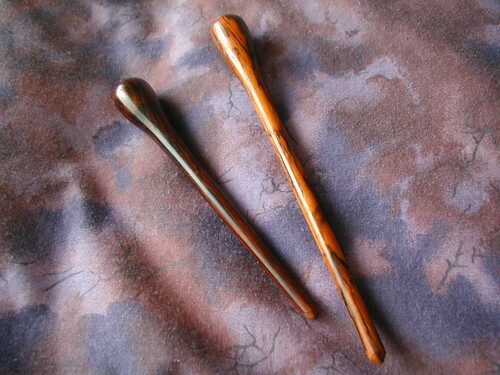 I love those batts- gorgeous. Wow, what a great stash! I’m drooling. You definitely picked up some lovelies. I’m good for a drink on Friday, but I’m in the States, sorry! Good luck on your finals. I’m stressing over my final paper due tomorrow! I think you bought more than I did. I feel better now. I’m envying your sock blockers. Should have bought some. Love that Estelle yarn! I can’t wait to see what it grows up to be. Maybe next year I’ll get to the Frolic in person, but for now, I’m having fun seeing what everyone else bought. Wow! I’ve never been on such a yarn binge in my life! I’m torn between envy and admiration. 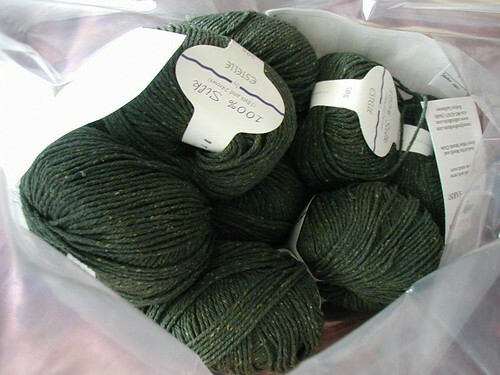 About that Estelle–lovely yarn, and I would definitely use it again, but if you haven’t used it before, be warned that it stretches a great deal in the length when worn, drawing the width in significantly. At least it did for me. I ended up with a piece four inches longer and almost four inches narrower as worn than as knitted. Admittedly, I used an eyelet pattern, which may not be the best choice for a heavy yarn; the stretching would probably not be as dramatic in plain stockinette. Holy Crap!! That’s a lot of yarn! I would *love* to go drinking. But I have to mark pesky exams. 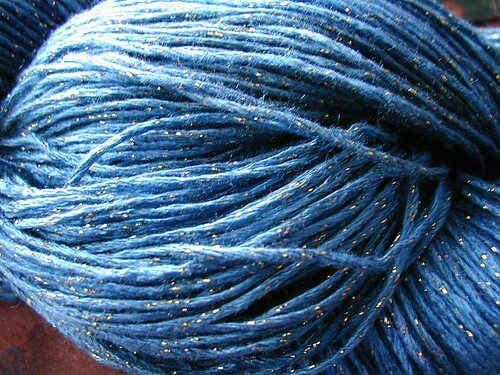 blue heron rayon metallic knits up so nice and soft and shiny, good choice! :) its such a pretty color too. Damn fine haul! Kudos! I only had 1.5 hours at the Frolic which I had only got because I ducked out of a conference early, and it was no where near enough time to do much damage!